The judge or clerk will call out your name. The judge will ask your name, and you respond. The judge will then look through the paperwork that was filed to see if you took a chemical test. If you took this test, and if your BAC was a .08% or higher, the judge will take your license and suspend it pending prosecution. If you provided your attorney with a hardship letter from your employer or a schedule of classes or medical appointments before your court date, we will make what is called a “hardship application.” If the judge grants it, the hardship application for a “hardship license” allows you to drive back and forth to work, back and forth to school, and back and forth to medical appointments. It is not good for back and forth to court, so make arrangements for a ride home. If you did not take a chemical test, the judge will suspend your license and schedule a DMV Refusal Hearing. The DMV Refusal Hearing needs to be scheduled within 15 days of your arraignment, and is an opportunity to argue that you should get your license back. For a number of reasons, our clients often waive the hearing, and we will discuss what is best for you at our first meeting. The judge may address the issue of bail. 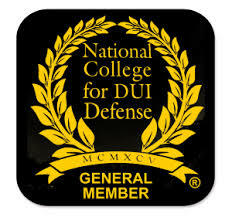 Misdemeanor DWI cases where the defendant is a first-time offender, and where there was no accident, almost always result in the defendant being released on their own recognizance (ROR’d). If you are on probation, or if you have a criminal history, or if there was an accident, or if you are being charged with a felony, we will discuss the issue of bail at our first meeting. The judge will almost certainly order you to get a "substance abuse assessment." Your lawyer will have talked about that before your first court date, but you can also see more information here. The judge will end your appearance by scheduling a second court date, which often consists of a pre-trial conference between the judge and attorneys. If you are looking for an attorney who will keep you informed about what is happening with your DWI case, call us at (585) 485-0025. We're here to help.